Kongregate's Launchpad X initiative offers developers a suite of support to create small, "experimental" browser games. Adobe's Flash has been around for a good long time. During it's prime, it was an almost unparalleled avenue to online content, especially in the realm of video games. Many modern indie developers got their start developing simple, browser-based Flash titles. That being the case, there are some who would argue that the heyday of Flash is in the past. With other platforms becoming easier to use and some browsers actively moving away from Flash-based plugins, there those who are wondering if there might be better ways for fledgling developers to cut their teeth. If Kongregate has its way, its new program Launchpad X will be one such option. 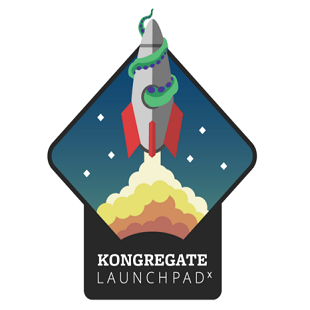 Announced earlier this month, Launchpad X is an offshoot of Kongregate's already existing Launchpad program. Geared toward aiding the development of jam-style "experimental games," Kongregate co-founder Emily Greer hopes that Launchpad X will help fledgling developers find a safe space similar to Flash. "Flash served as a sort of incubation environment for developers to experiment with quick and cheap games," she said. Its Greer's hope that initiatives like Launchpad X could maintain that creative environment while also helping web developers make the transition into things like WebGL and HTML 5. Toward that end, Kongregate is already been putting its money where its mouth is. While Greer couldn't share specific figures, she revealed that some developers have received funding deals as high as five figures. Launchpad X has also offered other forms of support including "analytics, game design expertise, UI/UX expertise, backend support [and] monetization support." According to Greer, the program is already yielding results. "We've been really impressed with the quality and quantity of content coming to Launchpad X." That Kongregate would be willing to invest in something like Launchpad X should serve as little surprise. While the company has, in recent years, moved into mobile publishing, it still exists as a strong player in the browser based market. Just recently, for instance, it celebrated the addition of its 100,000th game. And while Greer, again, couldn't share specifics, she was able to confirm that this number isn't just for show. "Our browser games are profitable," she said. With a mainstay like Flash perhaps on its way out, it only makes sense for Kongregate to help developers adapt so they can keep that money train rolling. It's a pretty neat deal, but it must be pointed out right at the start this thing is completely tied to Kongregate. With other engines you can go out on your own once the deal is made but with Launchpad X you are required to sign up with them with a final product in development that then goes to Kongregate specifically. I'm sure you can break out of that mould, but I can't imagine they would be all too happy about it, who knows that legal traps the licensing might hold. EDIT: Seems I misunderstood the sales pitch completely, this is only a sponsorship deal that has nothing to do with technical aspects. So for the time being I advise novices to look for general game engines, Construct 2 for example does everything in HMTL5 and comes with no ties. But they will bother the hell out of you when using a free version. It's not an engine, though, it's a voluntary program. It's not like every time you open Flash Develop you're forced to send your project to Kongregate. What do you think fgl and Ludum Dare are then? I'm pretty sure jmtb02 (great dev, by the way) said in an AMA/announcement that the exclusivity period is limited, and then you can distribute it freely. I'm just glad that Flash is still being supported for gamedev, I've had enough of idle games.